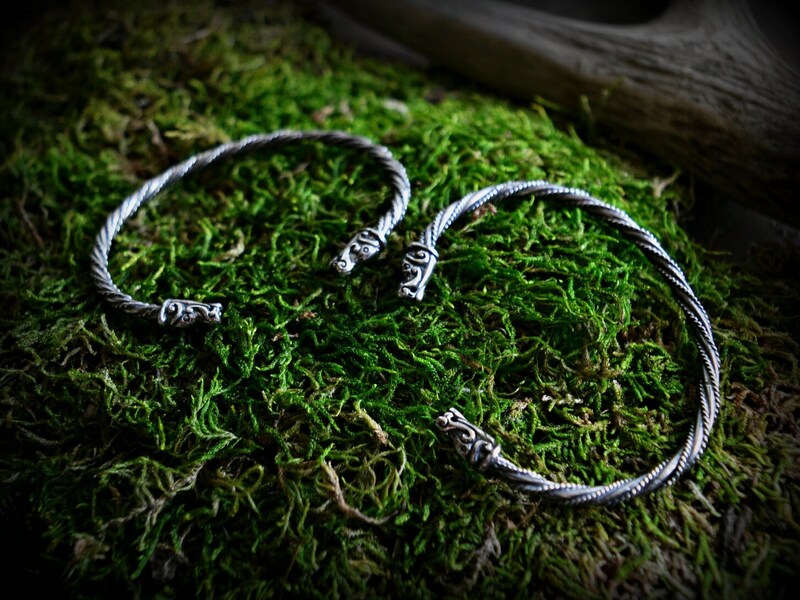 Beautiful, handmade, thin silver Viking style bracelet with dragon head terminals. 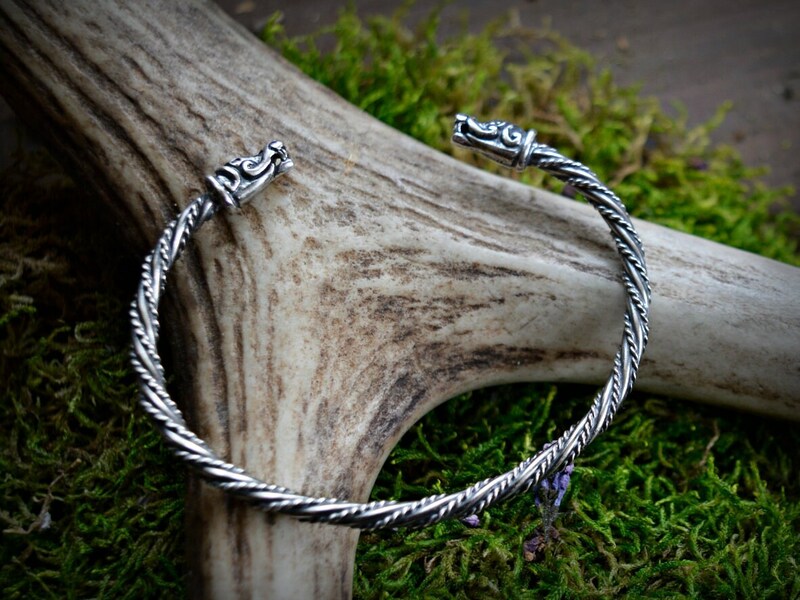 Perfect for woman's wrist, because of its delicate design and filigree decoration, but it still brings so much of Old Norse symbolism: dragons are beast, which appears so often in Viking mythology and art. 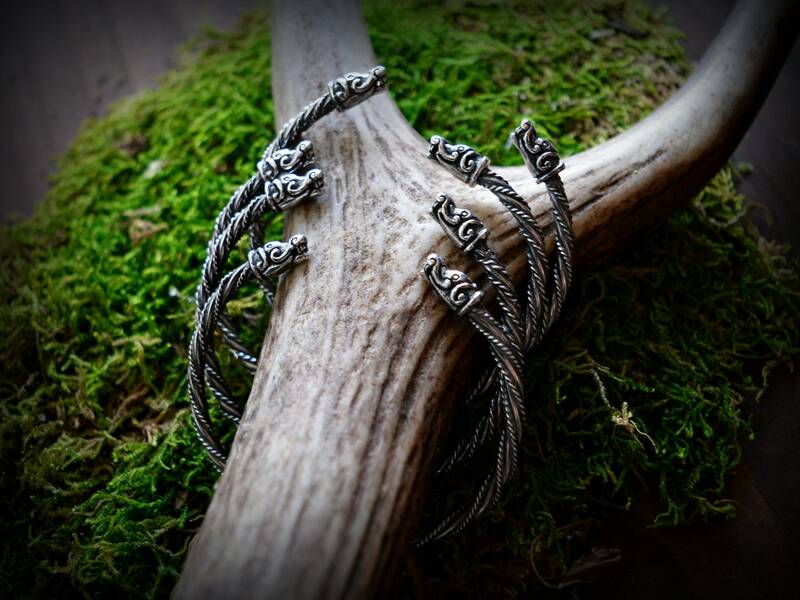 Perfect for reenactment and SCA events and for everyday use, if you want to show your Viking style in your everyday outfits. 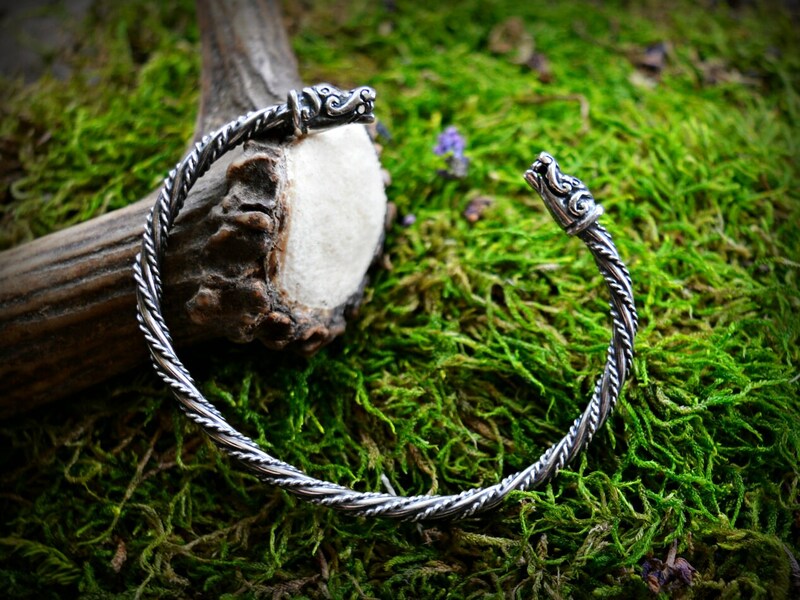 Size: the bracelet is easily adjustable and fits wrist up to 18 cm in circumference, but it looks great also on smaller hands.